Portland, ME February 4, 2014 –Celia Bedilia Designs of Cumberland Foreside, Maine has been awarded “Best Of Houzz” by Houzz, the leading platform for home remodeling and design. The Budget friendly coastal design firm was chosen by the more than 16 million monthly users that comprise the Houzz community. 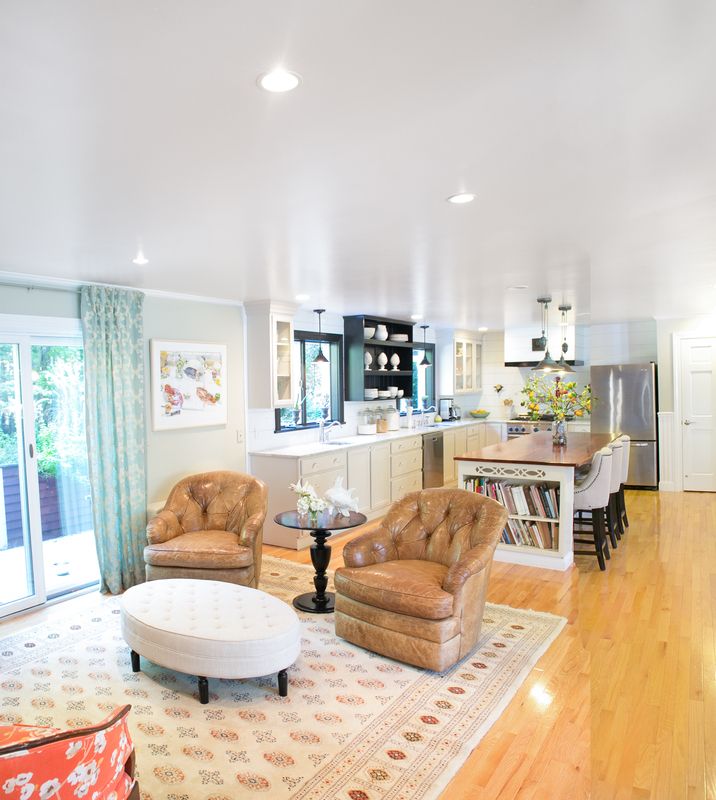 With Houzz, homeowners can identify not only the top-rated professionals like Celia St.Onge, but also those whose work matches their own aspirations for their home. Homeowners can also evaluate professionals by contacting them directly on the Houzz platform, asking questions about their work and reviewing their responses to questions from others in the Houzz community. I was born into design; my great-grandfather was an impressionist painter, my grandfather & father were both architects and my mother herself was an interior designer. Even more, all four of my siblings are also in the art/design fields of work. We simply had no choice, designer blood runs through our veins! Prior to my interior design business, I worked in the wholesale/retail world for several years, first in sales and then in design and production. Currently, I am designing a line of cottage furniture for a wholesale company and I have my own line of custom furniture and vanities. I truly love my work and it is important to me to take the time to work closely with my clients as we bring their visions to life. More so, it is imperative that each one of my projects reflects the clients taste and interests rather than my own. Here at Celia Bedilia, we can help you bring your ideas to actuality. Wow!! Congratulations Celia!!! That is wonderful and you so deserve the recognition. Congratulations Celia. It’s nice to see you get more well deserved recognition. I love your style. It’s so fresh, clean, authentic and serene. You’re amazing! Thank you Shay! I need to come in for a makeover. Congratulations on your award, that is quite impressive! I’ve followed your design for about two years… since moving to the East Coast. In one of your projects you used wonderful fish carvings on the wall. Do you represent the maker of the fish? Throughout our home we have different fish created by a variety of artists, it is something I’m always on the look out for. I wish you lived closer to VA, it would be fun to consider having our home redesigned using our own collection. I’m an artist and have had the fortune of meeting and sharing work with many talented artists throughout my career. Anyway, if you have a line on fish and it is a resource that can be made available, I’d be interested. I love your jewelry! I hope everyone looks at the link you provided. I am a collector of fish, and those fish from the mudroom photo where collected from numerous locations. I would love to see your collection of fish send photos! Thank you for your support. That is fantastic!!! Houzz is such a great platform. Congratulations. Thank you Sue! How are things with you…cold? Positively frigid today!! Heading to Culebra, off the coast of Puerto Rico, next Friday. Hoping to come to Portland in spring or early summer. Be well. Very good forum posts, Kudos.